You’re committed to clean eating, and now you’re trying to get the family on board. The kids are hooked on the fat, salt and sugar of your old ways. Maybe you have a baby just who’s taste buds are just starting to bloom. Or it’s your toddler who refuses carrots. Kids in grade school who are home for summer need a retraining in good food decisions from a fun perspective. Get these little helpers in the kitchen learning the difference between the good and the bad. The difference between what’s made in a lab and what’s made in the kitchen. What’s made with love and what’s made with chemicals. Here are 3 Kid-friendly clean eating recipes for each defining age. Find more at Weelicious.com Babies get a meal in a puree. Make it yourself babyfood. 1. Cook the chicken breast in a steamer pot over boiling water for 4 minutes. 2. Add the broccoli and yellow squash and steam an additional 4 minutes or until chicken is cooked through and vegetables are fork tender. 3. Place all the ingredients in a food processor and pulse. * 4. Cool and serve. *It’s nice to keep this dish a little chunky if you’re serving it to a little one with a few teeth. For the toddler who gets shy about anything she can’t pick up with her little hand. Preparation 1. Preheat oven to 375°F 2. In a large bowl, mix together all ingredients to thoroughly combine. 3. Pack greased mini muffin cups with the mixture. Fill to the top as they will shrink a bit during cooking. 4. Bake for 15-20 minutes, or until golden and cooked through. Note: For a full size meatloaf, press mixture into a 9x5 loaf pan and bake for 50 minutes. The picky kiddo might only like a few choice things, but we know every kid likes chicken tenders. Preparation 1. Preheat oven to 400°F. 2. Place the matzo and salt in a zip-top bag and crush with a rolling pin. Or, you can use a food processor and pulse until the mixture resembles breadcrumbs. 3. Pour the buttermilk into a shallow bowl and the crushed matzo into another. 4. Place the chicken tenders in the buttermilk to coat. Then roll in the crushed matzo and coat completely. 5. Line a baking sheet with foil, place an oven safe cooling rack on top and place the breaded chicken tenders on top of the cooling rack. Lightly spray with oil on each side. 6. Bake for 14-16 minutes or until the chicken is cooked through and the matzah is crisp. To Freeze: After step 4 place Matzo Chicken Tenders on a parchment lined baking sheet and freeze for one hour. Place tenders in labeled zipper bags and freeze for up to three months. When ready to cook continue step 6 adding 2 minutes to the cooking time. All the way from the foothills of the Himalayas these salt crystals range in color from pale pink and white to deeper hues of pink and red. The color is a result of a high mineral content, a spectrum of 84 minerals. From ancient sea salt, it remains unrefined, free of additives and hand mined, making Himalayan Pink Salt among the purest salt available. 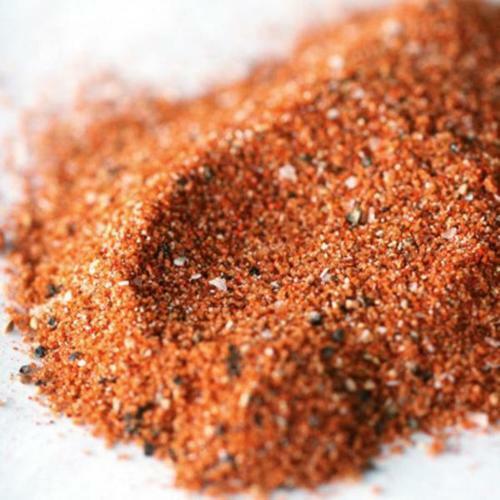 This is a clean eating seasoning that we love. The salt is harvested from ancient sea beds and by tradition, it’s hand selected, hand crushed, hand washed then sun dried. You can use Himalayan Pink Salt in any recipe requiring salt, as well as to season even the most basic dishes. It’s high mineral content makes the salt less “saltier" to taste than table salt but that doesn’t change the portions. You may actually find yourself using less salt because of it. Pink Salt is more than just seasoning. You can use it external to stimulate circulation, relax the body and soothe sore muscles, lower blood pressure, and remove toxins from the body. It can be used in various spa applications like homemade soap, soaks, scrubs, bath salts and aroma therapy. As the night falls in late summer, you get that craving for a cold treat. Something sweet, creamy, smooth with a chill to cool the hot breath of summer. Ice cream is the seasons choice treat, but what if you could lighten up a bit, skip the lactose and go for a clean eating option? You could even have it guilt free every night of the week. Yes, please! Frozen bananas blended with natural peanut butter comes out just like soft serve. Take away all the refined sugars you find in the flavors as the frozen yogurt bar. Cut up two (or more) bananas in to 1 inch pieces and freeze for at least 3 hours. Once the bananas are frozen, blend them with 1 to 2 tablespoons of natural peanut butter or almond butter. You may need to add a splash of Unsweetened Almond Milk, depending on the power of your blender. If your patient, you probably won’t need it (if you add too much it will be soupy). If you want more of an ice cream consistency, pop the mixture back into the freezer or a treat later on. Grab two spoons and someone who shares well. Since it doesn’t contain cream or milk, the blend won’t sit in your stomach. Cool treat, perfect for nighttime snacking. 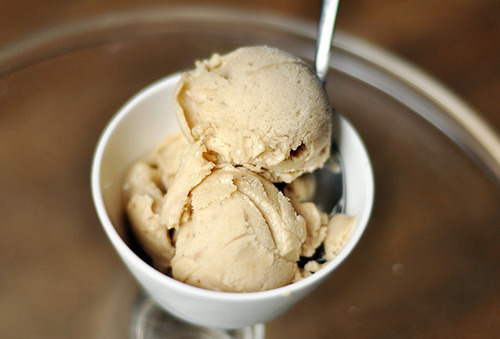 You can replace the peanut butter with other frozen fruits for a banana based sorbet. It will change your summer! 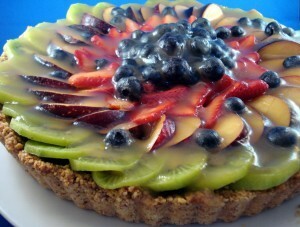 Fruit Tart anyone? For a beach treat, or serving several at a BBQ share this clean eating tart and they won’t know the difference. No cool whip necessary. Skip the peaches and layer your red and blue berries instead for patriotic flare. I used coconut oil, melted, instead of canola and I don’t think it made a difference. Arrowroot and kudzu are used as natural starches and can be found at the health food store (in my case I found Arrowroot with the help of a nice employee). They are some of the healthiest options for starch replacements and thicken at a higher temperature than corn starch. Agar was another ingredient I didn’t recognize and is used as a non dairy thickening agent for custards and sauces. All in all it was easy to assemble and went down even easier. To be honest, you don’t even need to tell people it’s vegan, just say dairy free. The sun gets low in the sky, the warm breeze floats between your car windows as you pull into your driveway. It’s as though the whole neighborhood is having a barbecue and forgot to invite you. It’s starting to smell a lot like grilling season out there. Make sure you’re prepared with seasoning and spices to kick off a summer of barbecue. Sometimes the only thing standing between a good grill session and a great one is a little love from a rub. Here are a few rubs and seasonings you can make ahead of time. All HIP recipes can be found at our favorite clean eating recipe site, the Gracious Pantry. Blend all spices in a small mixing bowl. To make your chicken, simply place the raw chicken, some oil and this spice in a bag and shake to coat evenly. Then place on your barbecue to cook. Note: This entire recipe was enough to coat 8 large chicken breasts. Blend all spices together and rub onto chicken. Bake or bbq as usual. Using raw chicken breasts that have been patted dry, rub the mixture into the chicken breasts until they are well coated. Put on a plate, cover with plastic and allow to sit overnight. Mix well and rub onto steak. Allow steak to sit for an hour, covered in the fridge, then grill. 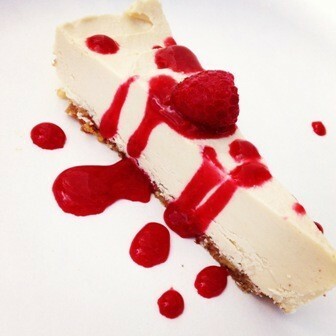 If there is anything we’ve learned from the Golden Girls is that ladies love their cheesecake! We’ve got a Paleo Cheesecake that will have you loving every bite like you got up in the middle of the night and were gossiping with your roommates. Make mom this treat, or pass it along to your husband to try his hand in it. Some notes for this recipe are to go easy on the lemon juice, it can easily take over. Taste as you mix. Also think about adding a bit of almond butter to the crust. Unsweetened Coco could make this a chocolate cheesecake but we won’t take you that far down the rabbit hole. Maybe you’ll inspire mom to eat clean when she knows she can have her cheesecake and eat it too! We found this recipe on cleaneatingwithadirtymind.com, if mom’s not into Cheesecake, there are many other clean eating recipes to satisfy every mother’s sweet tooth. Do not skip soaking the raw cashews in water. Soaking increases your body’s absorption of the vitamins & minerals, and neutralizes enzyme inhibitors naturally present in raw nuts and seeds.. Soak them for at least 4 hours, if not overnight. A blender works best for the filling (made it creamier), and food processor for the crust. Also, don’t substitute the coconut oil for any other oil, as it is solid at room temperature, and therefore helps the cheesecake stay firm. Begin by soaking the nuts. After they’ve finished soaking, prepare the crust. In the bowl of a food processor, chop the dates, nuts, coconut and sea salt. Process until it holds together when you press it between two of your fingers. Set aside. Begin the filling by slightly warming the coconut oil in a bowl of warm water (it melts at 77 degrees). Add the cashews, coconut oil, agave, lemon juice and vanilla into the pitcher of a blender, and blend well (until completely smooth). Blend a little more, just to be safe. Press the crust evenly into the bottom of an 8-inch spring form pan (don’t go up the sides). Pour the filling on top and freeze for 4 hours, or over night. To serve, let the cheesecake thaw for about 30 minutes, and cut into small slivers. I put all of the ingredients together in a bowl and used a hand mixer until blended. Then drizzle desired amount over your slice of cheesecake. In addition to training at HIP you might be working on your fitness in other areas. Training for a marathon, or cycling a long distance ride. You could be dusting off your volleyball for a tournament or hitting the pool for races. Dancing in a show or taking on a triathlon requires careful prep and training. Even if you are maxing out your workouts for the last leg of the HIP challenge you should be choosing your recovery foods wisely. Working-out uses carbs, fats and proteins and if your training for endurance and performance you’ll need to put that back in your system. Carbohydrates are required to replenish energy stores, while protein repairs tired muscle fibers. To optimize results, you want to take in carbohydrate and protein in about a 3 to 1 ratio, that’s 3 grams of carbs for every one gram of protein. 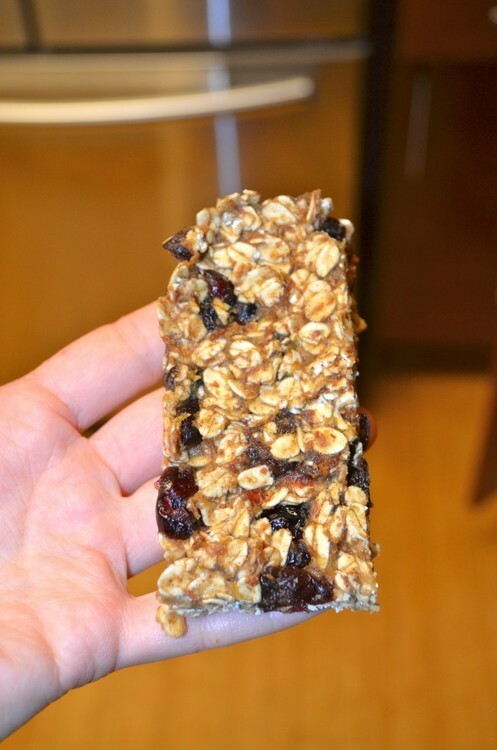 If you are doing 2-a-day training, try to get a recovery snack as soon as possible after your first workout. Depending on when you exercise, recovery food can be a snack or a meal. 2 tablespoons of Peanut butter, on an apple, celery or whole grain bread, or blend in a smoothie. Greek Yogurt, with fruit or granola. Chicken breast, great dinner option with veggie and a sweet potatoes or quinoa. Protein Powder and recovery drinks are designed with the 3:1 ratio in mind, check the back of your favorite brand to make sure it falls in line. My mother had been raving about this power bar recipe for weeks, but when I finally got my hands on it, I discovered it wasn’t clean. Dejected and at Costco I discovered a gigantic bag of Bob’s Red Mill (I love Bob) Muesli. I had never heard of muesli in my life probably because I’m from the mid-west where the only food people talk about is steak and they are still baffled that you can put a piece of fruit in a beer. Coincidentally, Muesli had almost all of the dry ingredients of the power bar recipe and it was advertised as a hot/cold cereal. Sold. All 64oz of it. I started putting it in my greek yogurt (if you mix it up and put it in the fridge for about 10mins, the oats soak up the yogurt and it’s the most amazing parfait) but after about 3 weeks, I had hardly made a dent in the bag. I adapted this from skinnyminniemoves.com and used muesli and adding more raisins and dried cranberries (unsweetened). You can really taste the banana in them, which I love! I’d recommend using your judgment if you need to add more muesli to soak up the “granola glue” or they might come out soggy. 1. Heat up the almond milk in a pan for a minute or two on medium to low heat, then add the banana. Once it starts cooking, mash the banana down. 2. Add the cinnamon, peanut butter, and honey. Stir it up. 3. Prepare your dry ingredients: Mix Muesli, dried cranberries, raisins, flax meal. Flatten the mix out evenly and press down with a spoon or your hands. 6. Let this set in the fridge overnight. The next day, cut into squares and grab one for an on the go breakfast! You’ve probably seen them in packages at the grocery store and they are popping up in snacks, power bars and drinks. 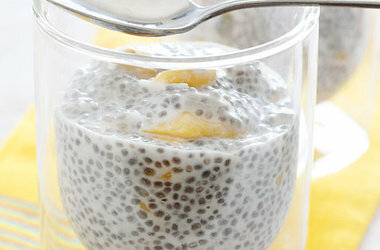 Chia seeds are high in omega-3s and fiber, they are also very versatile making them the it-food of 2013. We sure did get them wrong when we stuck them on potted ceramic animals in the 90s and gave them as gag gifts at Christmas. A great source of omega-3s, chia seeds are safe for pregnant moms looking to cut out fish due to mercury levels. Omega-3s are good during the prenatal period for developing brain health. Here’s a quick pudding recipe as part of a HIP Chia Seed Starter Kit. Pick up a pack of seeds today! Just like Christine was craving Mexican Food last week, sometimes you need something spicy and ethnic to get your taste buds dancing. 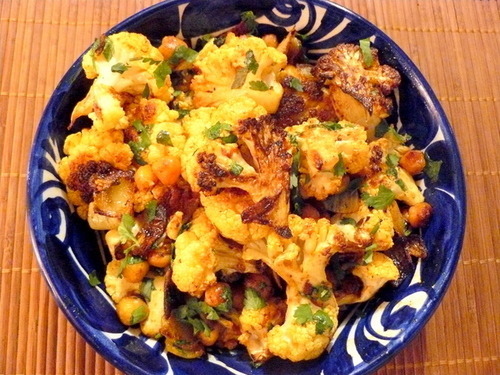 Jazz up some cauliflower with Indian spices and get your fix. It’s not only easy, but it will keep you from ordering take-out and surrendering to the craving. You can have your curry and eat it too! It’s great to pair this cauliflower dish with the gracious pantry’s chicken masala and she even has a clean naan recipe if you really want a feast! 2.Put cauliflower florets, onion and chickpeas in large bowl. 3.In a separate bowl, whisk together oil, vinegar, tomato paste, curry powder, paprika, cayenne, and salt. Pour dressing over vegetables; toss to coat. Spread vegetables in a single layer onto a sheet pan. 4.Roast vegetables until tender and roasty-toasty, stirring occasionally, about 45 minutes. Taste vegetables and add salt if needed. Mix in fresh cilantro and serve.